Takeaway: Try any one of these techniques today in order to balance one or more of your chakras. The chakras are a fascinating aspect of healing in yoga. It’s said that there are seven primary chakras running along the midline of the subtle body; whirling vortexes of energy that are associated with specific vibrations in the cosmos. Our chakras, as well as these cosmic vibrations, affect our physical, mental, emotional and spiritual health. 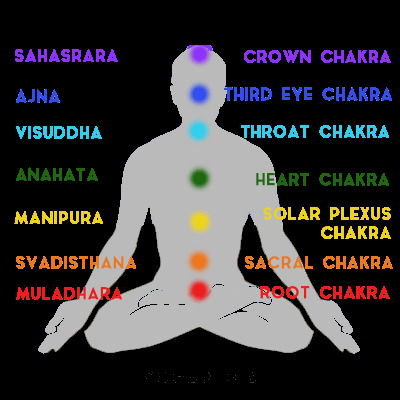 The chakra system is fascinating. It’s a truly holistic method of healing. It doesn’t have to take eons of time to balance the chakras, and you don’t have to visit an expert to experience healing; although, that’s always an option, too. The beauty of yoga is that it’s a self-healing modality and your chakras are no different. Repeating positive, healing affirmations over and over again is one such way to balance and align your chakras. You have the innate intelligence to balance them on your own. Here are some tips for balancing each chakra in an instant. To balance your sacral chakra, simply breathe into your hips. Roll your hips while sitting or standing. Get loose in your pelvis and feel your connection to your hips and your sensual center. Because your solar plexus chakra is directly related to the sun and the fire element, expose your skin to some good old-fashioned Vitamin D. Soon you’ll be feeling calm, centered and confident. This probably sounds a bit simple, but hugging is a powerful way to balance your heart chakra. If you don’t have a human being around to hug, hug a pet. Your heart chakra will get an instant surge of light and love. Sound healing is most effective for balancing the throat chakra, but each chakra has a bija, or seed mantra. Repeat the bija mantra, Ham, out loud throughout the day to balance your throat chakra. Visualization is a great tool for the third eye chakra. Visualization meditations are good for internal visualizations, while creating vision boards are excellent for external visualizations. Finally, another powerful way to balance your chakras (although not as quick or easy for beginners) is through meditation. Chakra healing meditations abound online. All you need to do is find one that resonates with you and listen to it every morning. If you know which of your chakras needs extra attention, choose a meditation specifically for that chakra. The more you explore, the more you’ll find in terms of what you personally need. Commit to a meditation that you intuitively know will balance your chakras instantly and it naturally will!